If you are a professional HGV or PSV driver there is a good chance that you will already be using a vehicle fitted with a digital tacho unit. If you have not yet driven a digital vehicle it is highly advisable that you have a digital tachograph card anyway just in case you need to use a hire vehicle. Your digital driver card will have a photograph and a digital copy of your signature on it. If you have a photocard driving licence then the DVLA will use these details to add them to your driver card. As an operator you can apply for driver smart cards on behalf of your drivers. Each card will need to be applied for separately and all applications will need to be completed separately. The DVLA will allow a company to pay for up to 25 card applications in one company cheque. It is advisable to tell the DVLA immediately if your card is lost, stolen, damaged or not working properly. 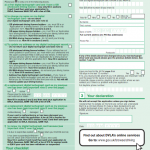 Once you have informed the DVLA you are able to continue to drive for up to 15 days. You must keep detailed working time records at all times while driving without your digi card. If you need help with this at all just call the office on (0191) 491 5032 or fill in the call back form below.